Cynvenio Biosystem and ATGen Global are poised to bring ATGen’s NK Vue™ test to the U.S. market, as a result of a collaborative partnership. NK Vue is an ELISA-based blood test that measures Natural Killer (NK) cell activity. NK cells are part of the innate immune system and represent the first line defense against infections and cancer. Abnormally low levels of NK cell activity have been associated with an increased risk of cancer and autoimmune diseases. Recent publications have described a strong relationship between NK cell activity and the degree of circulating tumor cells in patients with metastatic prostate, breast, and colorectal cancer. NK Vue, which is already approved to measure Natural Killer cell function in Korea and Canada by their respective regulatory agencies, will be sold in the U.S. as a laboratory developed test (LDT) that has been certified by Cynvenio’s CLIA and CAP-accredited laboratory. 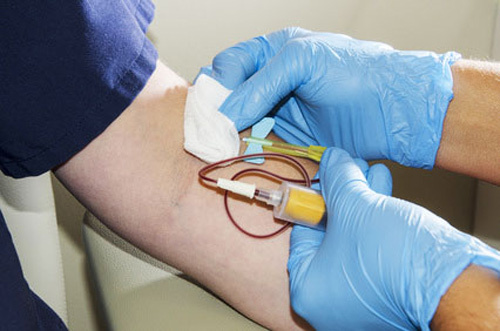 Using the test, U.S. physicians will be able to monitor overall immune wellness in the general population, have a complementary tool in cancer screening and cancer surveillance post-treatment, and be provided with additional insights into the condition of active autoimmune diseases, such as multiple sclerosis and inflammatory bowel disease. Clinical trials are planned or underway in Korea, Canada, Denmark, China, and the United States looking at the use of NK Vue to monitor several different cancer types, including breast, prostate, lung, colorectal, ovarian, and gastric cancers. In addition, several trials are ongoing to measure NK cell activity in autoimmune diseases and to correlate this with response to treatment and relapse.